Judge Arsen Kalatozishvili agreed to the extradition going ahead, following a hearing at Tbilisi City Court. The court heard Shepherd's extradition order was based on both the manslaughter offence and a separate assault charge. The second charge relates to an incident - shortly before Shepherd fled to Tbilisi - in Moretonhampstead, Devon, on 16 March 2018. Defence lawyers said Shepherd had agreed to be extradited, but only if his safety was taken into consideration by the judge. Speaking before the hearing, his lawyer Mariam Kublashvili told Rustavi-2 TV Shepherd feared for his safety in the UK. She said: "Because of the attitude of the British media and public he truly does not feel himself to be human." Ms Zazunashvili said: "He knew the boat was not in good working order and knew Charlotte Brown had no skills to control the boat - and he let her control the boat. "He knew boat was in poor working order. We are sure that if he is extradited there will be no threat to his life." 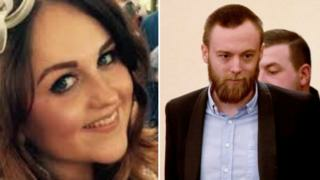 MP James Brokenshire said Charlotte Brown's family "clearly welcome the news" that Shepherd agreed to be extradited. "It is their wish that he now accepts responsibility and atones for his actions, also that he drops the appeal against his conviction which can only cause more pain and anguish," he added. In Courtroom Number 3, Jack Shepherd sat impassively while his fate was being decided. After the prosecution had set out the case for extradition, Shepherd's defence team dismissed the arguments as "groundless". But Shepherd had already decided to return to Britain. "He agrees to extradition," announced one of the defence lawyers. When the judge invited him to speak, Shepherd confirmed the decision. He was ready to return to the UK, he said, because he wanted to take part in his Appeal Court hearing. Two months after he handed himself in to Georgian police, the legal process in Georgia appears to be nearing its conclusion. The extradition order will need to be approved by the Georgian Justice Minister, before Shepherd can leave Georgia. One of Shepherd's lawyers in Georgia, Tariel Kakabadze, said he could return to the UK within two weeks.